Writing this isn’t easy. I keep typing and deleting, then typing and deleting some more. I never used to be this way; I was so confident, so self-assured, in my storytelling abilities. But now, each time I craft a sentence, I imagine what the commentary from my peers would be: That’s superfluous. That’s so cheesy. What does that even have to do with your intention? So as I write (and un-write), I’m a bit unsure where intuition begins and fear ends. As a current student in graduate school for writing, I will ultimately be working in a creative field where criticism inevitably comes with the territory. My classes are mostly in a critique workshop format, with lecture elements sprinkled in here and there. The truth is, many of us who view ourselves as “artist types” tend to be on the sensitive side (ahem, whether or not we’d actually like to admit that to ourselves is a totally different thing!) and we often prefer to shy away from criticism whenever possible. 1. Know how to determine “constructive” versus “destructive” criticism. Here’s a good hint: constructive criticism should make you feel inspired, whereas destructive criticism will make you feel like a crybaby (you’re not, though). The first sounds a lot like, “Here is an area that can be strengthened and here’s how you can go about it,” whereas the latter sounds like “You’re not good, sorry.” When you set your ego aside and maintain an “I’m willing to improve” mentality, constructive criticism will make you a better person. Destructive criticism is more of a verbal sucker-punch, a malicious or emotionally unintelligent comment without offering any possible solutions for future improvement. We’ve all been the recipient of both of these types at one time or another. Getting truly helpful feedback, though, is so important; it’s how we learn and grow as individuals in every aspect of our lives: career, relationships, you name it. Take good care of yourself by ignoring anything that’s said unless it’s constructive. 2. Decide which elements of what you’ve been told actually have merit. Not every aspect of feedback you receive is going to seem like a very good idea. Trust your gut on this one. Unless your job/grades depend on it, remember that it’s more than okay to have a “your life, your rules” approach: you get to decide which ideas work for you and which you’d rather leave on the sidelines, maybe for a later time—or maybe for never! Think of the process of using feedback like it’s a collage (or even a cocktail if you’re feelin’ fancy! ): play around with different suggestions and see which combination will make for the best fit. Sometimes you may find that the people providing you with criticism hold conflicting opinions, and it may very well be up to you to decide whom you agree with. Try to have fun with it—it will make the process far less painful! Woah, hold up now! Is this person even qualified to gift you with their ~*majestic judgmental commentary*~? Be wary of some well-intentioned folks who have no idea what they’re talking about. If someone tells you to change something, yet is unfamiliar with the craft, it might not be a great decision to blindly follow their advice. Sometimes, though, there can be ironically a surprising benefit to this; on occasion, you may actually try to purposefully seek out those who have no experience to get an “outsider’s” opinion. In my case, I often ask people to read my short stories, novel chapters, essays, and poems who have no writing background whatsoever. If you’re in a creative field, what can often matter even more than advice from the experts (!) is the opinion of the audience. Whether or not you’ve got yourself an appreciative bunch is the deciding factor of what works and what doesn’t. Do you have any other favorite “go-to’s” when it comes to handling criticism? Let us know in the comments below to share the knowledge/spread the love! 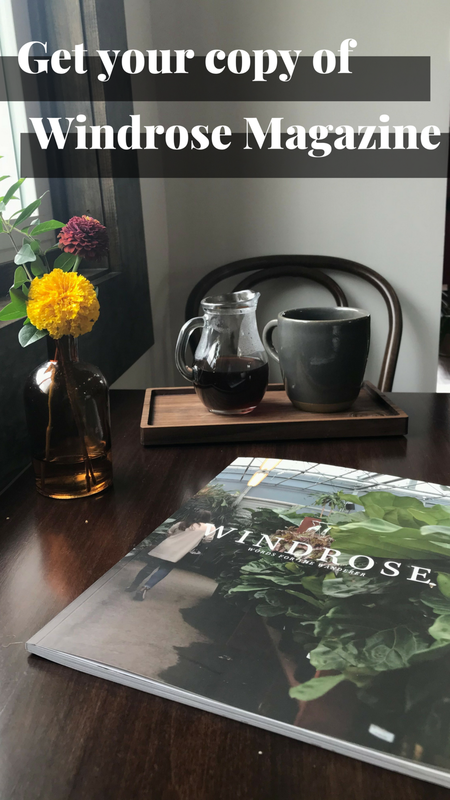 Windrose Magazine is back in stock! HOORAY! You can expect to receive it 7-9 business days after your order. Brooke Safferman has an unyielding passion for both meeting new cats and spending too much time in Barnes and Noble. Her favorite hobbies include peer pressuring friends and strangers alike into taking the Myers-Briggs personality test, as well as writing songs on the ukulele that she is too shy to ever play for you. She is a Masters of Fine Arts Candidate in Writing at SCAD (Savannah College of Art and Design) and hopes to see her name on your bookshelf one day.